Ngapouri Highlands plans to be recognised as one of the premier, quality Highland studs, producing genetics that are sought after by other New Zealand Industry participants. Ngapouri Highlands operates on a small, but well appointed property between Rotorua and Taupo, New Zealand. Ngapouri Highlands is run by Nanette and Grant Alexander. Nanette was raised in the Canterbury region, spending most of her childhood in Christchurch. She has an unfortunate visual impediment, that causes her to prefer red and black. Nanette's working career has mainly been in Administration, with a stint of owning and operating her own Desktop Publishing business. More latterly Nanette has specialised in administration in Early Childhood Education. Nanette has taken to the rural lifestyle with ease. She has a love for animals and a gentle and patient approach that is obviously sensed by the animals she tends. Grant was raised in Northland and has a penchant for Cambridge Blue. He trained at School of Forestry at the University of Canterbury, gaining a Master of Forestry Science in 1984. He has subsequently worked as a forester, in oil marketing, Internal Audit, and since 1995 as an ICT Manager for a forestry management company based in Rotorua, New Zealand. Raised on a dairy farm until the age of 13, Grant has an affinity for the land. Escaping city limits after work is therapeutic, and the variety of work maintaining a lifestyle block is challenging and rewarding. Nanette and Grant moved to their current property in September 2001. Initially they ran predominantly sheep. 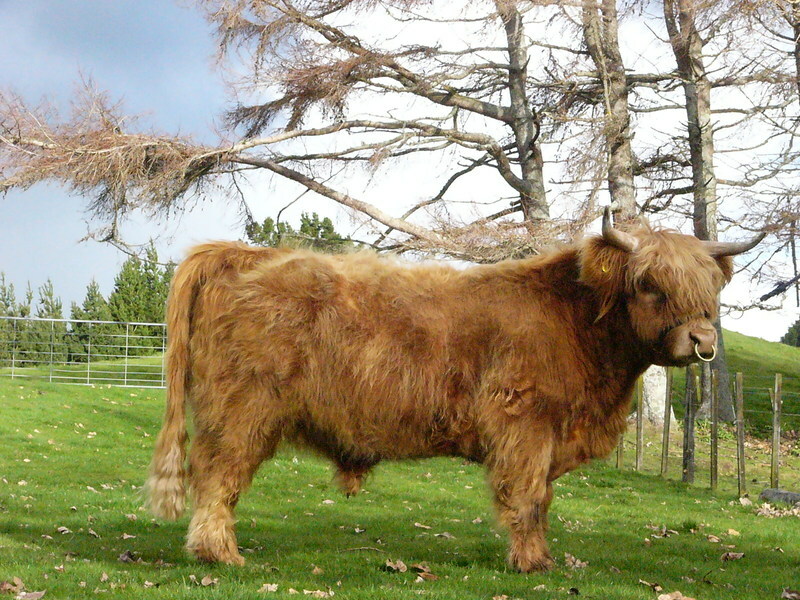 In 2005 they ventured into Scottish Highland Cattle. Ngapouri Highlands is a family venture. Nanette and Grant's children participate in running the lifestyle block. Nanette and Grant's first pet was Winston, an Old English Sheepdog. Since then livestock and pets have all exhibited a high degree of hairiness.